All Posts Tagged With: "LaLicious"
From now until July 4th, 2011, LaLicious is offering 50% OFF their Travel Bags. 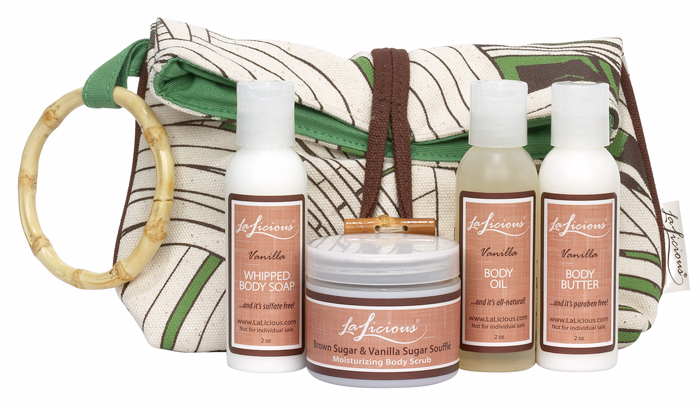 Packaged in a chic, canvas clutch, LaLicious’ Travel Bags are loaded with everything you need to keep your body cleansed, smooth and moisturized, in convenient travel-friendly sizes. 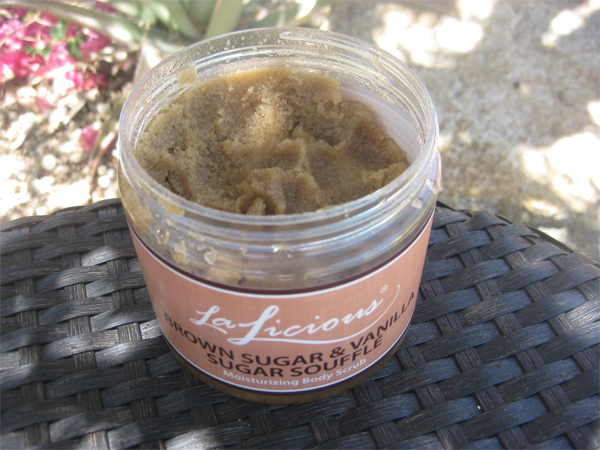 Available in eight of LaLicious’ most popular scents, these 2oz products include: Whipped Soap, Sugar Souffle Scrub, Body Butter and Body Oil. Green Note: Lalicious products are all natural and free of parabens, preservatives and sulfate detergents. Here is LaLicious Holiday special offer for you! FREE ground shipping on orders over $50 on your favorite LaLicious products! Have fun LaLicious holiday shopping!